Martin Huggard of Waterville met Mary Doyle from Wicklow and in 1912, this meeting would go on to build Ireland's first hotel chain. 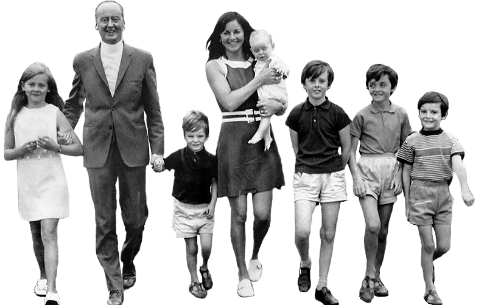 The Hugards were blessed with seven children, Noel, Maud, Hilda, Billy, Cecily, Brendan and Patricia, many of whom went on to leave a hugely positive imprint on Irish tourism in general and on the hotel industry in particular. Hilda Huggard of Waterville and the Lake Hotel 1916 – 2001 Martin and Mary acquired the 60-bedroom Butler Arms Hotel in Waterville in 1917 and, as the years progressed, the Huggard hotel empire grew with the purchase of Caragh Lake Hotel near Killorglin, the Royal Hotel on Valentia Island, Ballinahinch Castle Hotel in Connemara and the landmark Ashford Castle, also in Connemara. In 1940 the family purchased the flagship Lake Hotel, on the shores of the world famous Lakes of Killarney, which dates back to 1820 and boasts a spectacular, unrivaled location with all-encompassing views of Killarney’s world famous scenery. Hilda Huggard was actively involved in the daily running of the hotel from the day of purchase until her passing at the age of 84 in 2001. The secret to success that has served the family so well down through the generations is the emphasis placed on quality, attention to detail, first rate customer service, a warm welcome and a determination that all visitors to hotels run by the Huggard family become friends as well as guests. The Lake Hotel, which has been carefully developed to become one of the finest establishments in the country, is now personally run by Tony, Colman, Niall and Joe Huggard, and it has enjoyed remarkable success, including the receipt of several national quality awards for cuisine, quality, service and hospitality.